The other night, I went to the Bryant Park tree lighting. The crowds were definitely thinner than the one for the Rockefeller tree lighting, but it could have also been due to the on-and-off drizzle or the freezing temperatures. However, it was a delightful show full of synchronized skaters, Olympic skaters, a flipping team, Broadway performers, and a special appearance by Grace Potter (of Grace Potter and the Nocturnals). I'd also like to introduce my intern, Jackie! 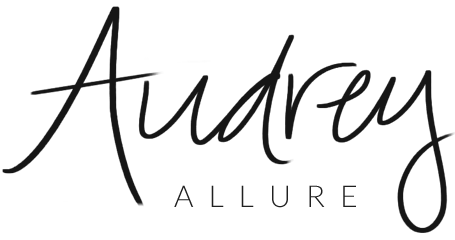 Things have been pretty busy around Audrey Allure so Jackie will be covering a couple of events and planning a few exciting things with me. Next week, when I'll be wrapped up with Lucky Magazine's Lucky Shops VIP red carpet event, Jackie will be tweeting simultaneously on @audreyallure from LIM College (the college I graduated from) for their special shopping event! I also compiled a video of the highlights from the night, which can be viewed below. Amazing! And welcome to your intern! That's so awesome! I love tree lightings, that one looks so pretty! what a great way to kick off the holidays.Wishing you a beautiful day and sending an invitation for you to share your blog at my blog hop today. Hugs! Looks like that was a great event! Ohhhh, how I miss the pre Christmas walks on the streets of a brilliantly lit NYC!! I just remembered the last time we went to the see the tree at Rockefeller, it was crazy crowded!! I love tree lightings--- great way to get in the Christmas spirit!!! Looks utterly dreamy! I want a white Christmas! What a lovely event! I'd be very excited to attend it! Looks like a wonderful, wonderful evening! Sounds and looks like it was a really good evening. The tree is beautiful. Love these pics :D Christmas events are just so beautiful! Wow! I didn't realise that there was so much pomp and circumstance around the tree lighting! Wow, this looks insanely fun!!! I was actually going to attend the tree lighting here in LA at the Grove but things came up and I couldn't :( Phillip Phillips was there too! LOL. But I'm glad you had a lot of fun! SO COOL ! I wished I could see something like this ! Just beautiful this is my favorite time of the year ! I love bryant park...remembers..... Your blog it is cool i like it! Thanks for sharing these amazing images of seems to be a magical fun experience! Great photos! I love the video too. I always wonder how the skaters can perform so well in the freezing cold!!!! It is definately on my list to visit NYC during the holiday season in the future. How pretty! Love the pics! What a beautiful event! I'm glad you had fun!